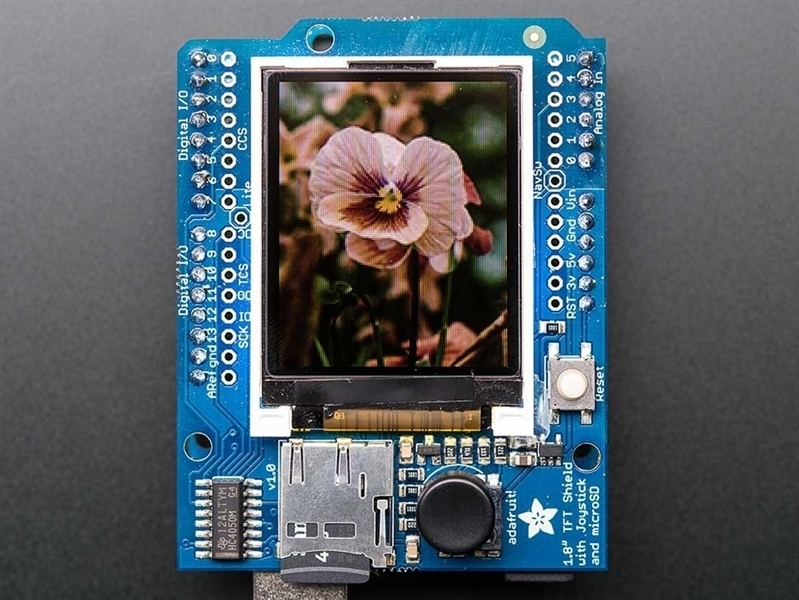 The 1.8" display has 128x160 color pixels. 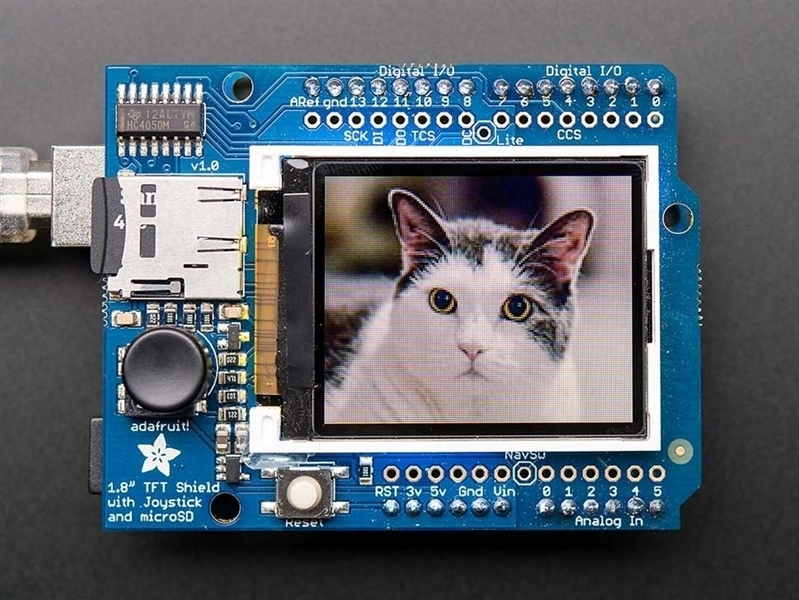 Unlike the low cost "Nokia 6110" and similar LCD displays, which are CSTN type and thus have poor color and slow refresh, this display is a true TFT! The TFT driver (ST7735R) can display full 18-bit color (262,144 shades!). 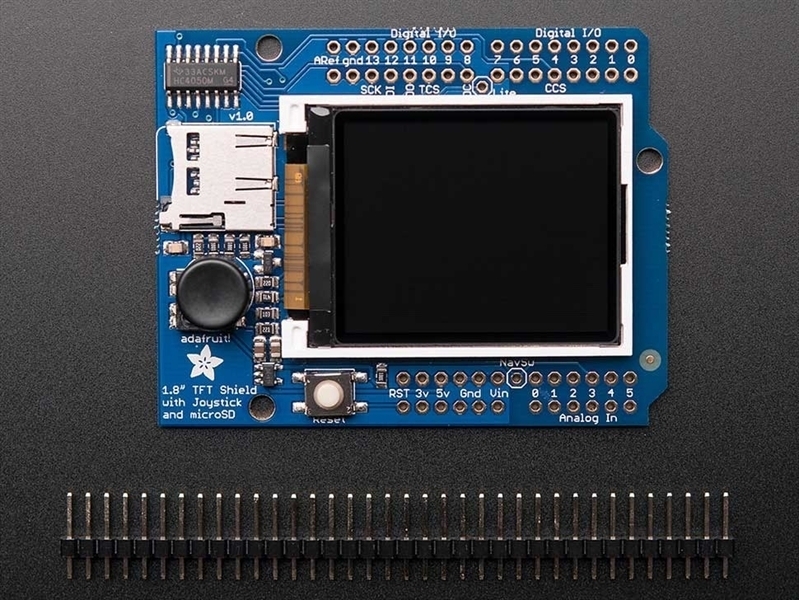 And the LCD will always come with the same driver chip so there's no worries that your code will not work from one to the other. Of course, we wouldn't just leave you with a datasheet and a "good luck!" 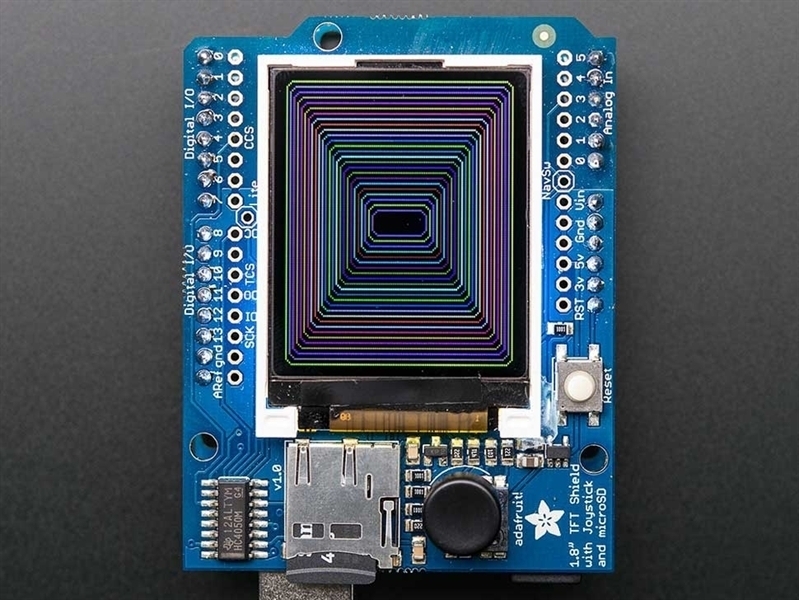 - we've written a full open source graphics library that can draw pixels, lines, rectangles, circles, text and bitmaps as well as example code and a wiring tutorial. 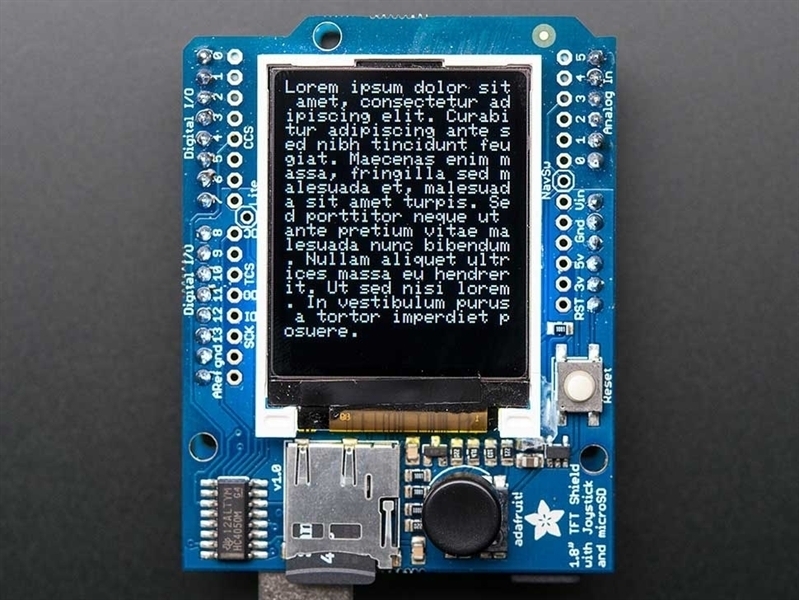 The code is written for Arduino but can be easily ported to your favorite microcontroller!